Sleek, vibrant, aluminized metal prints offer a popular, new, and unique way to display your photography! 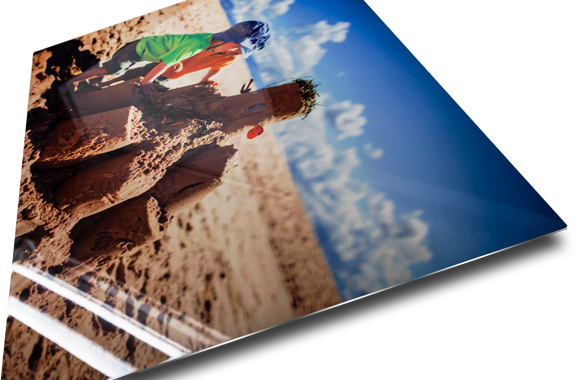 This process preserves your photos by infusing dyes directly onto specially coated aluminum sheets. The brilliant color, luminescence, and impressive detail of these prints is breathtaking! 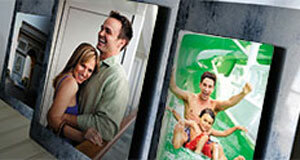 Our aluminum photo panels are available in a number of sizes, clusters and frame options. Comes with a floating keyhole back making your print ready to hang and display immediately upon arrival! 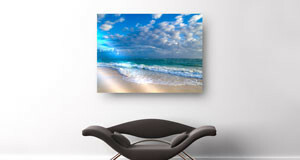 Sleek, vibrant, Aluminized Metal Prints, offer a popular, new, and unique way to display your photography. This process preserves your photos by infusing dyes directly into specially coated aluminum sheets. The brilliant color, luminescence, and impressive detail of these prints are breathtaking. Printed through heat sublimation on a high gloss white enamel. What are metal prints? What kind of metal are they printed on? Is there metal showing through my image? Our metal prints take your image and use a dye sublimation and high heat/pressure press to embed the image on 0.045” thick aluminum panels. They have rounded corners in a gloss finish and are scratch resistant for a sleek, finished product. There is no metal showing through the image and the substrate is a warm white. 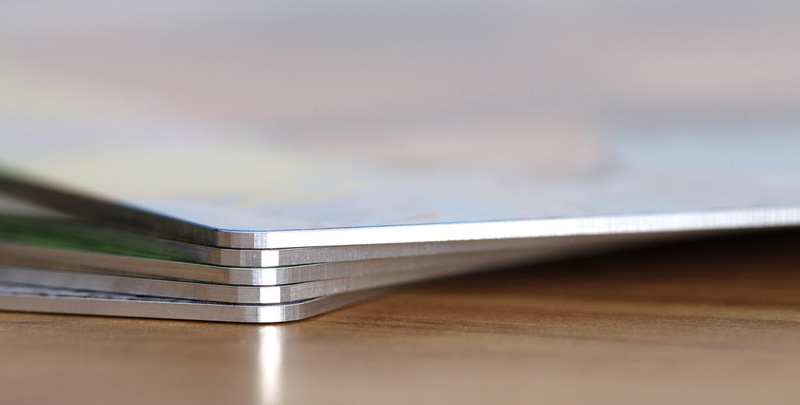 What is the turnaround time on metal prints? Turnaround time is 4 business days. All turnaround times are based upon a 9:00am (EST) receipt of order Monday-Friday. Are metal prints ready to hang? Yes, the default on metal print orders is a keyhole hanger on the back so your metal print is ready to hang. If you wish, you can select the option to have no hanging hardware on your print. We also offer framed metal prints in both our Xpress and ROESpro ordering systems. How can I clean my metal print? Metal Prints can be cleaned with a slightly damp cloth.